Many of us have this alternative version of what we think we should look like. Some maybe taller, others shorter… Not to mention, those of us would who choose to be skinnier or better looking. Then we might think to ourselves, if we could do anything, without limitation, what would we do? I have spent the last four years finding out a lot about that. A couple of days later, on a quiet Sunday afternoon, I decided to give this virtual world a try. For those of you not in the know, Second Life™ is an online community created by its residents. The possibilities for creative outlet in this virtual world are literally limitless. There are people who build houses, furniture, musical instruments, cars, boats, robots, dragons, technology and shoes. There are clothing designers, “skin” designers, avatar designers, landscapers and scientists. And my personal favorite…. there are artists. 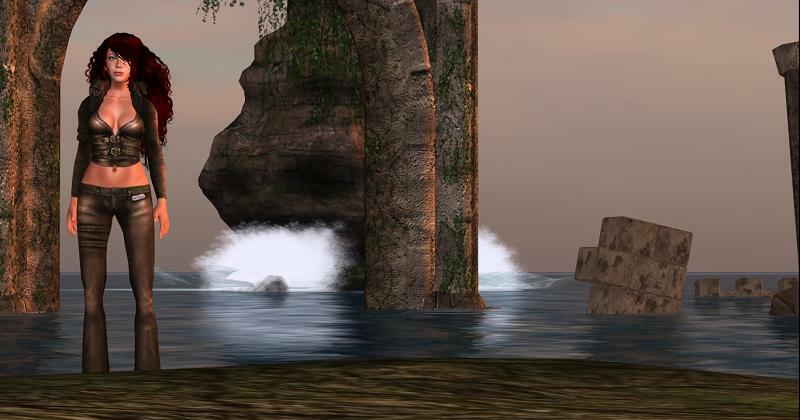 Second Life™ is a natural draw to the creative and curious. It all starts from the moment you first log on. You stand there; your Avatar (the digital version of you) is just like all the other Avatars, a blank slate. You start out, changing your hair color, adding muscles, slimming down, bulking up. Then you tweak the shape of your nose; make your lips little fuller, eyes a little smaller. Each Avatar becomes a work of art of its own. There are Barbie™ figures and the macho manly men, but there are furry Avatars, wolves, bears, cats and more. Blue people! Scaly people! I have personally seen dragons, dinosaurs, aliens, fantastic beasts, Santa, a chimpanzee smoking a cigar, Mr. Potato Head™ and a naked fat guy, among other things. Your appearance is truly only limited by your imagination. At the time I signed up, you could choose whatever you wanted for your first name, and choose from a selection of available last names. I chose my own first name, figuring I’d be confused enough without trying to remember to answer to a different first name. I chose the last name Aferdita because it sounded a bit like Aphrodite, and sounded really nice with Tricia. So, here I am, Tricia Aferdita. After a day or two of exploration, I was hooked. I lured a couple of friends in (whose names I’ll leave out unless they want to out themselves!) and through one of them, I was introduced to a couple of people who would change my life. The first person I met was named Ed Baron. Ed had joined Second Life™ in December 2004. Over the years he had developed an interest in helping new community members, particularly artists; create a presence within the community. And so it came to be that he helped me create a gallery online. He tirelessly answered my countless questions about the in-world currency, how it related to the ‘real world’ and what owning or renting land in SL was all about. He connected me with a landowner, who had a little parcel of her “island”, called a SIM, available for me to build a gallery on. He then connected me with someone who created buildings professionally in-world and before I knew it, I had a three-dimensional representation of a gallery on the internet. I named the gallery Intuitions Gallery and put up most of my spiritual, metaphysical, fantasy and wildlife art. Ed helped me organize an event to open my gallery, and people I had never met before, from all over the world, came to see my art. It was amazing!! It was a bit like having a 3D website for your art. People could virtually walk through the room, look close up at your work, then back up and look at it from a different angle. I got positive feedback from other artists and ‘real life’ gallery owners. Soon I met an amazing artist who went by the entertaining name of Hecubus Dogpatch. I was completely blown away by his photorealistic egg tempera nature paintings. We became friends and I decided to try exhibiting his work at my virtual gallery. I learned a bit about building things in a virtual environment and created some special walls to “hang” his art on. I learned that I could make signs in Photoshop and import them into the virtual world to use as posters, banners, etc. We hosted an opening reception for him in virtual style. You can carry a glass of champagne and it animates your avatar to sip elegantly from it, only to give the appearance a few minutes later of being spilled all over the carpet if you type or dance. It’s a silly place. Hecubus’ work was a hit, and he was a funny and charming conversationalist. We made out pretty well in the virtual currency, called Lindens, which amounts to pennies on the dollar. But still, it’s fun to know that people admire and want to own copies of your work. After Hecubus, I hosted another artist and within a couple of months of joining Second Life, I was introduced (by the same helpful, social butterfly friend) to another person who would change the course of my virtual and real lives, the avatar named Xander Ruttan. Xander, in ‘real life’ was active in the U.S. art world as a co-founder of a California-based nonprofit arts organization, a freelance arts & culture writer, and former associate director of a prominent contemporary art gallery. 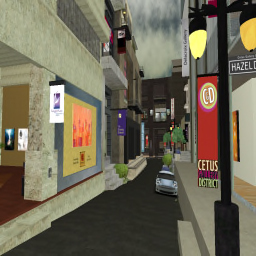 He had a vision to create a virtual cultural center within Second Life™, an art district based on art communities like NY’s Chelsea and the Pearl Art District in Portland Oregon. After many long nights of chatting about the idea, art and life in general, he was encouraged to take on the project. In January 2007, the community started small, on a parcel adjoining his home on a sim named Cetus. He named it the Cetus Gallery District. 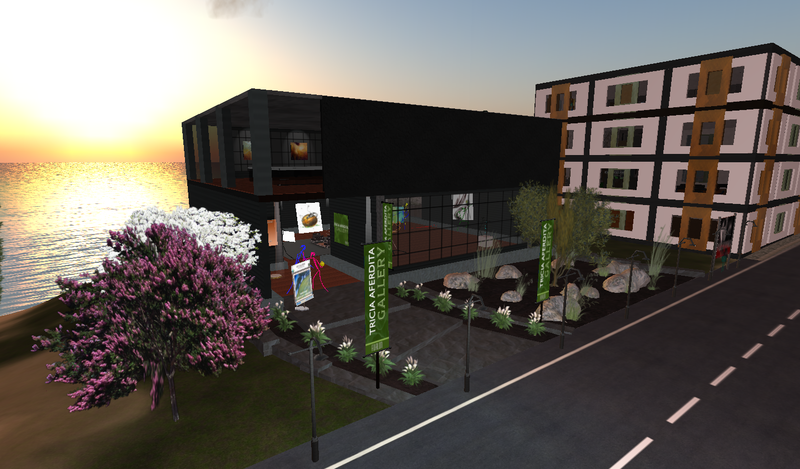 As he worked endless hours creating a neighborhood out of nothing but virtual blocks, I moved Intuitions Gallery from its first home to a new building in Cetus. We spent a lot of time brainstorming together and I became president of the group that we formed. I became sort of the community person – hosting events, promoting. Xander was the brains… the buildings and the business. I credit Xander with a lot of what I know today about curating and hanging art, though we did have some near brawls over differing opinions in the early days. He was a “tough love” sort of teacher, but eventually I acquiesced to his wisdom, given his real life work as a curator and art director. Today, I really credit the success of my virtual galleries to his education, and I always try to follow as close to a real life model as possible. During my time in Cetus, I changed from the slightly more whimsical and fantasy oriented theme of Intuitions Gallery to Tricia Aferdita Gallery, with an eye towards a more sophisticated art style and presentation. This is the gallery I have continued to operate ever since. After nearly two years, I began to want to expand beyond my role in Cetus. 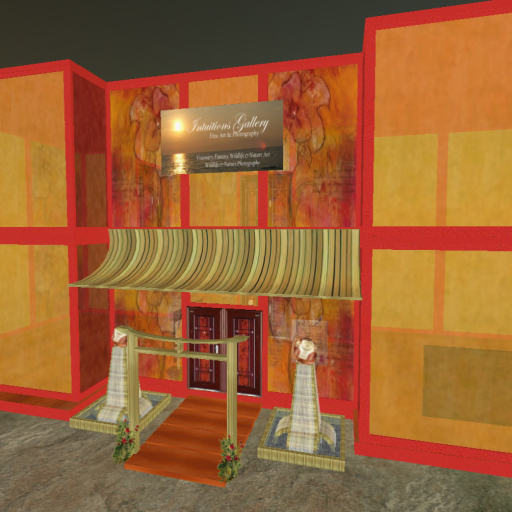 In August 2008, I opened a new branch of my gallery on a SIM called Tabula rasa in a community called Avalon. Shortly after that, I left the Cetus Gallery District entirely. After a few months of just managing my gallery, I definitely needed “something more” to. Having spent most of my virtual “childhood” actively involved in a community, I was a little bit bored. As luck (fate?) would have it, Elora Dawes, one of the managers of the Avalon community, approached me about helping them organize events around town. After thinking about it for about 30 seconds, I agreed, and in February 2009 I became Events Director of Avalon Town. 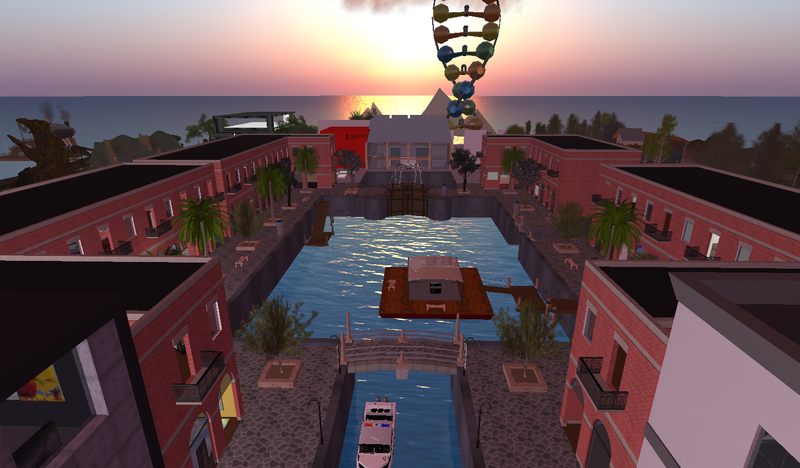 In any community within Second Life™ there is the infinite ability to create useable space. Venues like theaters, bars, clubs and cafes provide a space for many avatars to gather and enjoy the varied entertainment available. 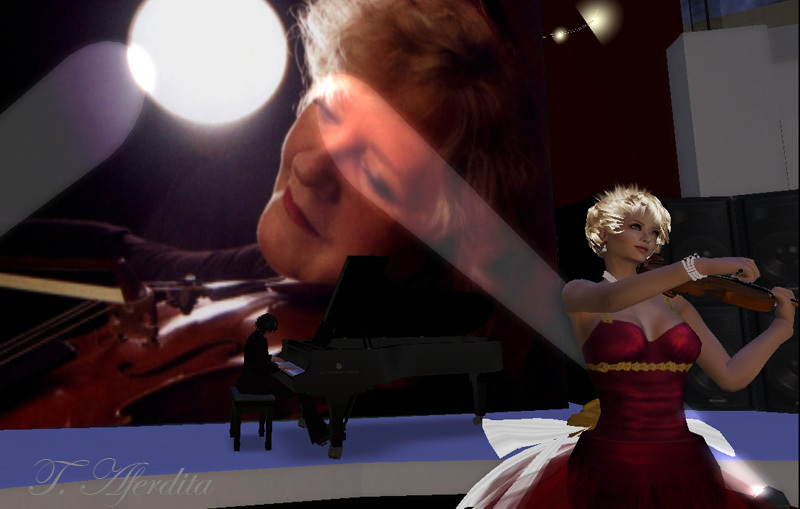 Physical world musicians can perform in a virtual world by using live streaming audio and their own avatars. The advent of voice capability in world enables residents to perform poetry, literary readings and plays. Music lovers can become DJ’s with software and a music library, bringing a wide range of musical genres to virtual parties and events. Events in Avalon include live music performances from rock, blues and folk musicians, incredible pianists and virtuoso violinists from the US, Canada, UK, Europe and South America. We have hosted regular live poetry readings, art history talks, seasonal and themed parties and design contests. Colleen Kesey, the avatar who owns the Avalon Town Estate, is an avid philanthropist and with her blessing I also instituted a series of charity events. Since 2009 we have raised funds for organizations like The International Fund for Animal Welfare, Make a Wish Foundation, The Multiple Sclerosis Foundation and NARSAD, the Brain and Behavior Research Fund. Coming up in January and February 2011 we will be supporting Virtual Museums Incorporated in bringing museums and education to Second Life™. In April of this year, Elora stepped down as manager of Avalon Town to finish her thesis and the general manager of the estate asked me if I would be willing to take up her position. Since then I have worked in supporting Colleen, Mattie and the community, continuing to host events, help new residents, manage rentals and other types of maintenance and fun. This is all accomplished with the help of friends I have made along the way, including Ethan Westland, who has been a friend and cohort for years and now helps out as assistant manager. I have absolutely loved being a part of the creation and growth of this art community. In early 2010, I met up with intrepid publisher Saffia Widdershins of the Prim Perfect Empire. Saffia is the publisher of Prim Perfect Magazine, a magazine about style for homes and gardens in virtual worlds. She also publishes The Primgraph, a magazine dedicated to the historical SIMS of Second Life™, and Designing Worlds, a long-running online television program dedicated to design in virtual worlds. Metaverse Arts was the catalyst in inspiring me to share my virtual life with the rest of the world. 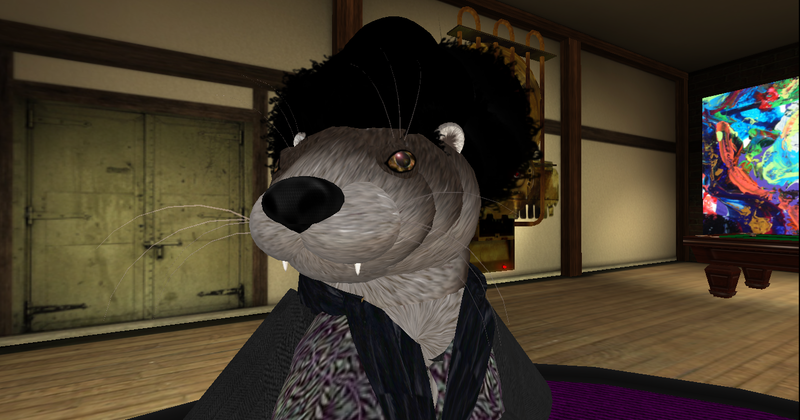 I have been fairly transparent in Second Life™. Being an artist, I have felt that it is essential to share who I am in “real life” if I want to promote myself as an artist. I have even gotten business as a result of what I do. Now I feel that it’s time to share both sides of my life equally.I look back over the last four years and I am immensely proud of what I have accomplished and have never regretted a moment of the time and effort have put into my virtual projects. I have made wonderful, intelligent, caring friends that I will never, ever forget. Through them I have dared to explore who I am and what I can do in a way that I may never have considered, let alone dared to do, in my every day life. In turn, my virtual life has inspired my real life. It has inspired my art, motivated me to paint again when I had given it up for 15 years. It has inspired me to write. It has given me friends that transcend internet boundaries. It has educated me, both about myself and about the world and those who inhabit it. It has helped me discover, or rediscover, things that bring me joy and encouraged me to stretch myself. As we step into the New Year, Tricia Aferdita and Tricia Griffith become the same person. I invite you to share the journey and see what lies ahead!